The U.S. is unlike powerful nations throughout history because it has not strived to create a vast overseas empire. The author of a new book says it might be time to rethink our concept of the U.S. being bound by oceans and foreign lands. 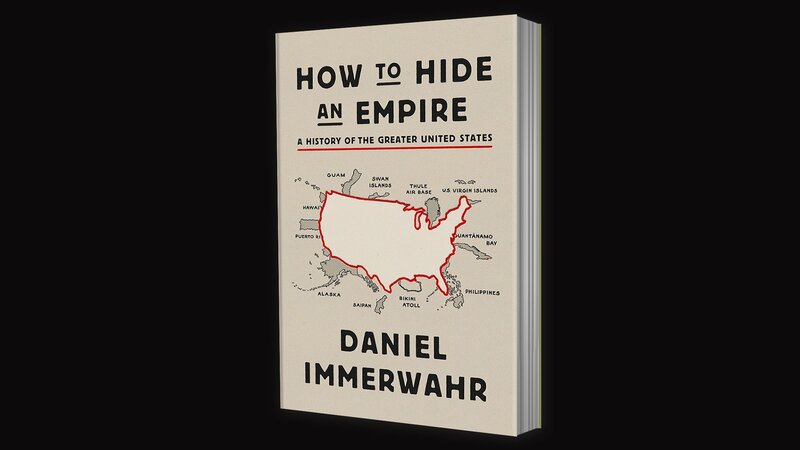 Northwestern history professor Daniel Immerwahr’s book, “How to Hide an Empire: A History of the Greater United States,” divides the nation’s imperialist movements into three phases. First was the westward expansion of settlers and subsequent displacement of Native Americans during the 19th century. Then, in the second half of that century, the U.S. began to acquire Caribbean and Pacific islands like Guam and Puerto Rico, which became U.S. territories following the Spanish-American War in 1898. The Guano Islands Act of 1856 represents an interesting bit of policy tied to U.S. expansion – the legislation essentially said an American could claim an uninhabited, unclaimed island if it contained guano, or bird droppings. The motivation? Nitrogen-rich guano was an effective early fertilizer. Immerwahr said these represented the nation’s first overseas expansions beyond North America. The third phase of U.S. expansion is ongoing and relates to the hundreds of U.S military bases and detention facilities scattered across the globe. Immerwahr joins us to discuss his book. Read an excerpt from the book here.